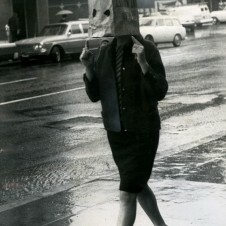 Bat those babies this way! Jessica Harrison, a PhD art candidate in Edinburgh, tore the legs off dead flies and glued them to her eyelids. The craziest thing in eyelashes? Maybe not (but maybe the grossest!). You could always coat yours with Latisse or just get creative after your next haircut like the blogger behind "Weekly Teinou Bee Woman." 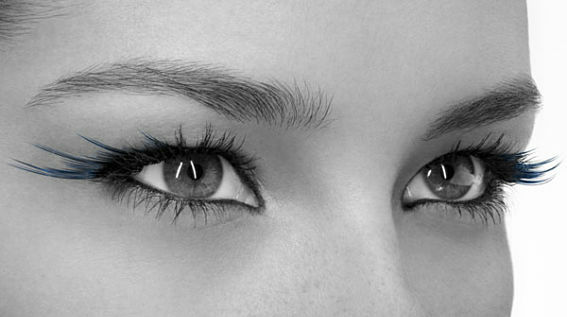 You could invest in colored mascara or go straight to the source with blue winged tips. Electric or earthy, there are lashes that take you from a rave to the...disco. Watch Harrison's video and check out the other eyelashes we found that guarantee people will notice your big blues or browns or greens. These puppies were designed by Soomi Park. 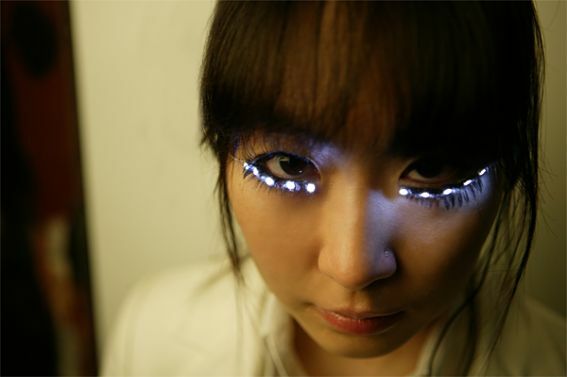 They are standard fake eyelashes, but include built-in LED lights that flicker when you move your pupils and eyelids. The "inclination sensor with mercury" literally light up your eyes. Shu Uemura might very well be the leading name when it comes to eyelashes. The brand's 2010 neo-Tokyo odyssey collection gets flashy with sparkles, sequins and metallic fringe. The "architectural" neo reflector lashes, for example, give you that disco-ball look. When you're finished with these eyelashes, toss them in the recycle bin because they are 100% paper, baby. 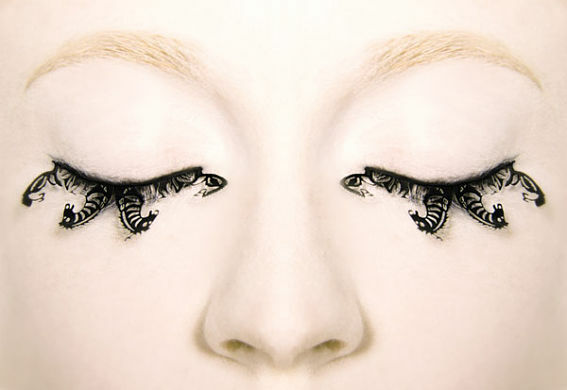 Designer Ting yu Wang cites Chinese paper-cutting as her inspiration for horse, peony and peach blossom fake lashes. Next time you get a haircut, hold onto those locks because blogger Geisha Asobi shows us their true potential--attached as eyelashes, of course. 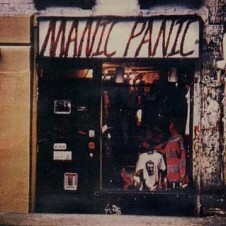 Manic Panic makes sure that both the hair on your head and the hair on your eyelids are ready for a rave. 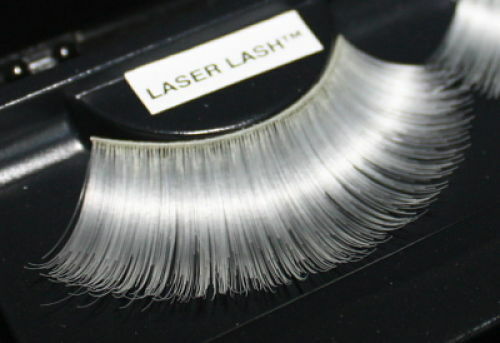 Glam Lashes come in 47 different styles including "Laser Lash" that glows in the dark. Not ready to for any of the above? Urban Decay's "Little Wing" is a good beginner's choice. The lashes give a hit of navy blue and are apparently so easy that "even an 8-year-old could apply" them.